I Shall Call My New Shorts "The Fascinators"
It has been a long week here, friends. It was our last week of regular classes at school (next week: final exams), and I spent my time anxiously awaiting some work-related news. I actually got TWO really great pieces of news at work that I’ll tell you all about once all my I’s are crossed and my T’s are dotted. Or whatever. At any rate, I am excited about my plans for the summer and next year. Easter came and went and with it the end of my shopping hiatus. In fact, the end of said Lenten hiatus was the only way in which I actually celebrated Easter — as a single, childless, non-religious person living far away from family, I just don’t do Easter. Not that I am opposed to candy, spring, and such. On the contrary. But I like to think that I celebrate those things often. Whenever I like, in fact. More importantly, I’m sure you are dying to ask: how did I celebrate my great return to shopping? With the purchase of The Pale King, The Deathly Hallows Part I on DVD, and a pair of plaid Bermuda shorts. It’s exciting times here, I tell you. Oh, you would like to know more about the Bermuda shorts? Well, you probably wouldn’t, but I am going to tell you nevertheless. I have been wanting a pair of patchwork madras plaid Bermuda shorts for two years or so and never found any that I liked. I have been wanting such shorts even in spite of being mocked by my friends, each of whom has had something snarky to say about plaid shorts. Was I returning to the 90s? Going on a golf cruise for seniors? Joining a fraternity? Oh no, friends. I simply recognize the bright and breezy summer utility of a great pair of plaid shorts. Sadly, most of the shorts I have found are super-duper short, maybe a one-inch inseam. This is not a good look for me no matter how liberating running may be for my thigh-related self esteem. However! My friend Becky had the brilliant idea of checking the men’s section at Old Navy when we were there and I realized they make tons of such shorts for men! I got this pair, which is perfect. 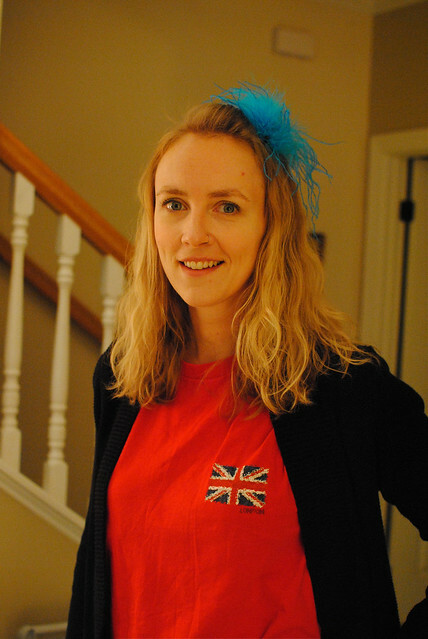 That’s right, it’s me with my hair au naturel and a silly feather head adornment and a Union Jack t-shirt, attending a royal wedding viewing party. Feel free to mock me if you must, but I will have you know that there are not enough opportunities in life to sit around in your pajamas at 4:00 AM drinking champagne and eating delicious baked goods. At least not socially sanctioned opportunities. So of course I had to participate. 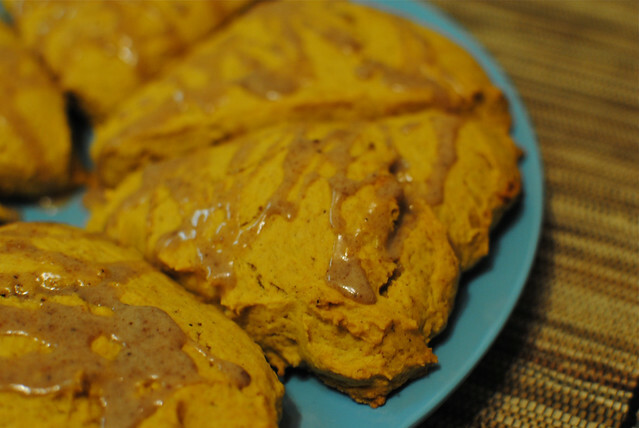 I made these vegan pumpkin spice scones (recipe here) and they turned out amazingly well. I realize pumpkin is not exactly in season, but as I haven’t made scones before at all (let alone vegan ones) I figured a recipe with a strong, fibrous binder like pumpkin would be foolproof. And it was. Enforced group singing is the worst thing ever. Everyone looked completely miserable while having to sing those hymns. Kate Middleton has badass eyebrows, just like me, and we have the same first and middle names. I dig her. 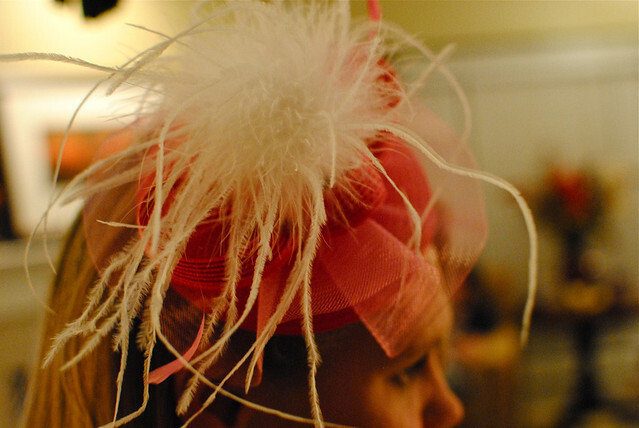 *The Fascinator is the very best fashion term ever. Seriously, ever. I had never heard of one until this week! I don’t think the term should be restricted to hats, however. Many stylish items may fascinate. That’s it, I guess. Did you watch it? What do you think about the whole big spectacle? Previous Article I didn't plan to write a whole post about books and television but this is what appears to have happened. Here you go. Over here we got together around 3 to watch people arriving. It was so weird because I slept from 10-2:30, then was at the party from 3-7ish, then back home for a 2 hour nap before work. It made one day feel like 3. But it was a fun time, so it was worth the weird schedule. I did not watch, but maybe I’ll catch up someday. Did B MAKE those? They are impressive. Smart about the shorts. I, too, would like some casual, reasonable-length madras shorts. Perhaps I’ll investigate the blue ones. No, I think she bought them, but I’m not sure where. And you should most definitely investigate! For reference, men’s size 28 is about a women’s size 4-6. Plaid shorts from the men’s section? You are stealing the plays right out of the lesbian playbook. It’s right here on page 42. See? Really though, if I had known about your short-related woes, I could have helped you out. The men’s section has the BEST shorts. I might become a convert! To shopping in the men’s section, I mean. No Daisy Dukes to be found there! 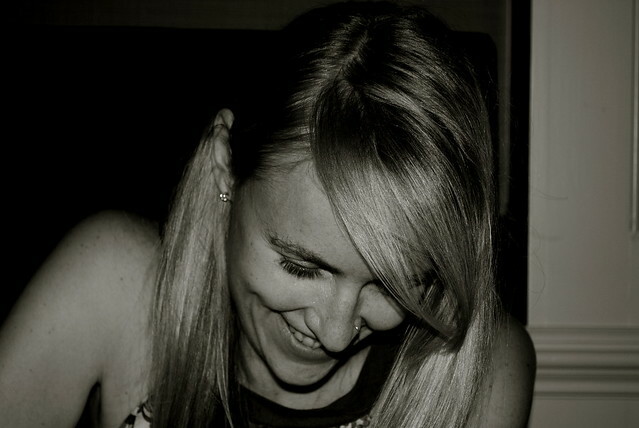 In good spirits, I am laughing about all your fashion news. I think plaid shorts are cute! Will you post a picture of two of yourself so we can see how you style them? Also, I am considering a maxi dress as well, despite being 5’1″ and scared that a maxi dress will try to eat me. They just look so darn comfortable! And pajama-like! So I might try to find one at a used clothing store. I’m definitely not shelling out big bucks for one. Sadly, I was a party-pooper about the royal wedding and slept through it. Ah well! I’m not much of a fan of celebrities, so it’s hard to get excited for these things. I may post one at some point, but I have to say I have not been styling them yet, so to speak. White V-neck tee shirt and black flip-flops is the best I have done so far. I have a white blouse they might look good with, though, and some nicer sandals. We’ll see. Thanks! And I’m glad no one freaked out on you — yikes! Also, what is a “maxi dress”? It sounds kind of – um – strange. Sadly, I don’t think such shorts are really in style — I just wanted some. And a maxi dress is the opposite of a mini dress: very long!